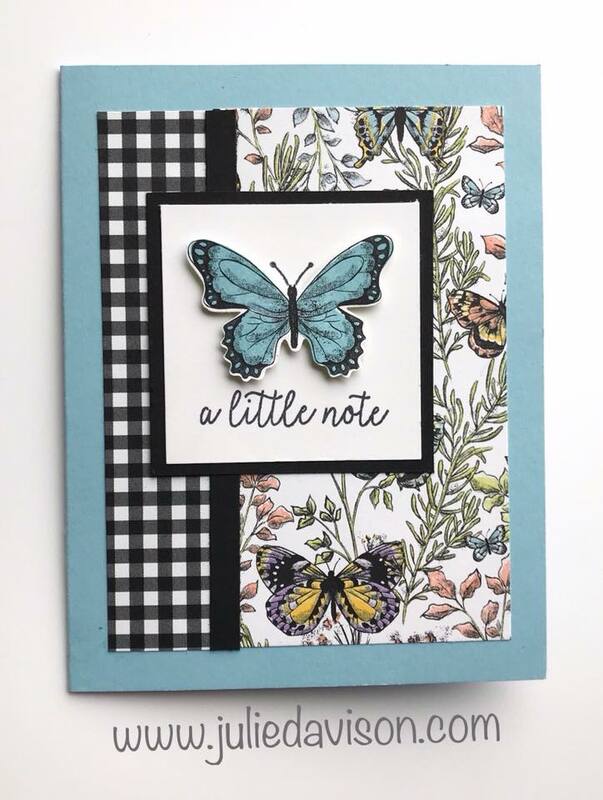 Video tutorial coming soon, but I couldn't wait to share this fun card featuring the Botanical Butterfly Designer Paper because time is running out to get this Sale-a-Bration freebie! Have you heard!? 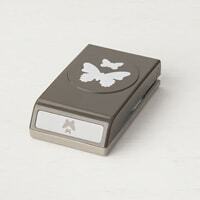 The Butterfly Duet Punch is back in stock -- just in time to order for Sale-a-Bration. 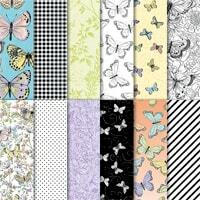 Get the Punch or the Butterfly Gala Bundle and some other goodies to qualify for the Botanical Butterfly Designer Paper. The punch cuts out images from the paper! How cool is that!? 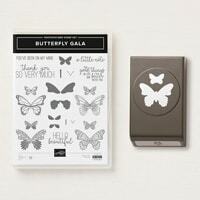 Use the images from the stamp set to stamp color on the designer paper butterflies -- then punch them out! Tip: Use a post it note to help you hold the designer paper if the scrap is too small to hold in the punch. 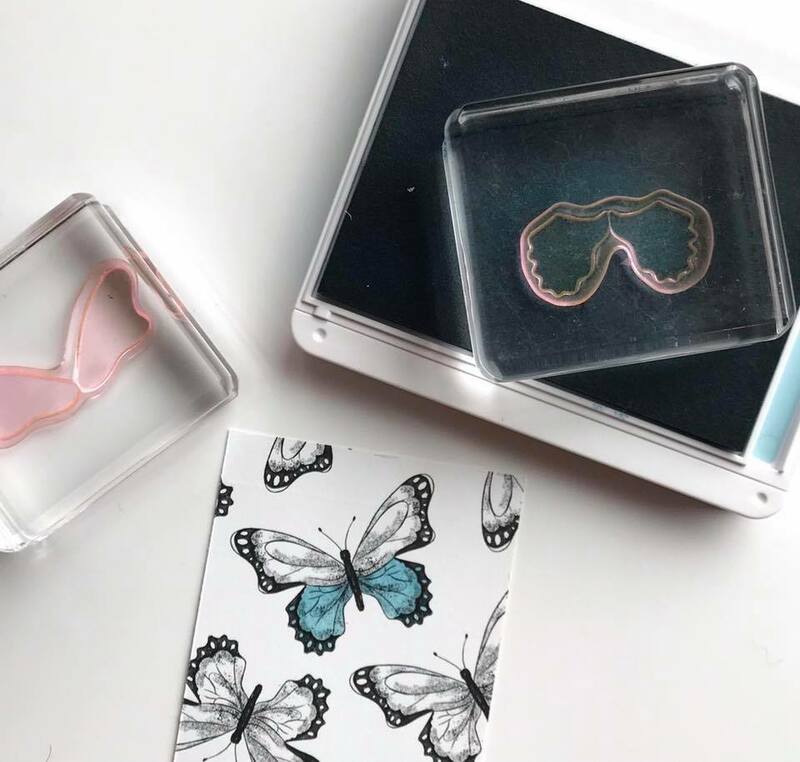 The pop-up element inside is super easy! 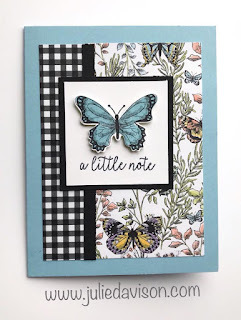 I'll post the video tutorial and another sample soon, but if you can't wait to play, here are the measurements that I used: 1" x 8-1/2" Balmy Blue cardstock, scored at 2-1/8", 4-1/4", 6-3/8". 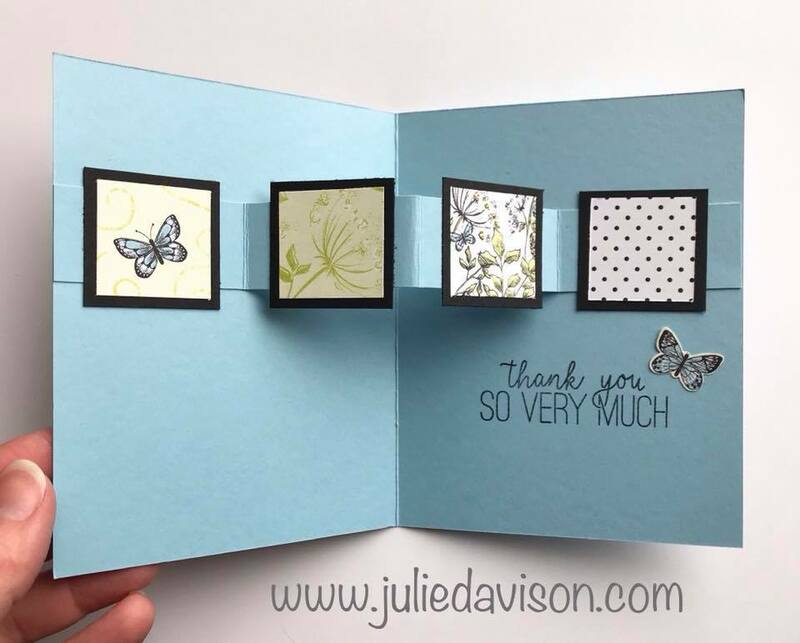 The squares are 1-1/4" x 1-1/4" designer paper layered on 1-1/2" x 1-1/2" Basic Black.